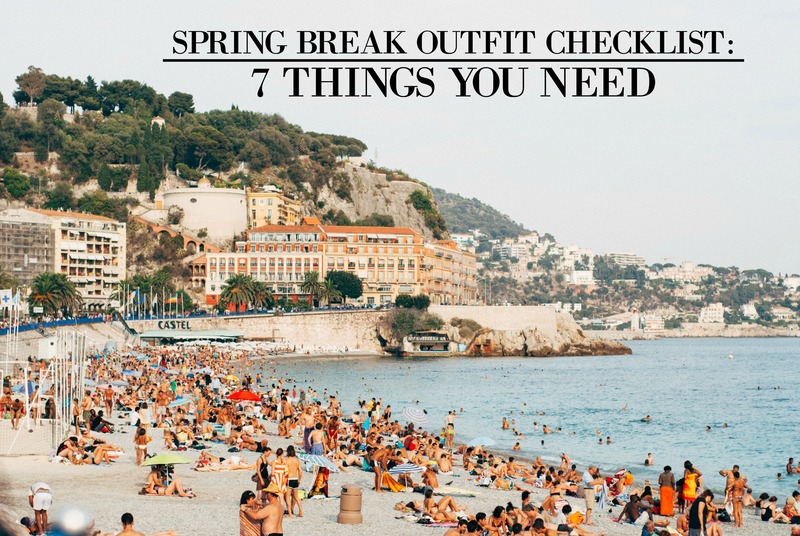 Booking your travel plans is easy, but picking your outfits for said vacation? Not so much. Grab some inspiration here so you can ditch the campus, leave the homework behind, and soak up the sun in easy to mix and match outfits without all the stress. Plus, your luggage won’t be weighed down by 10 pairs of shoes. Protect yourself (I know-I sound like mom here!) with a cute pair of sunglasses and a large floppy sun hat. A vintage but ever popular look is the large and floppy sun hat which has a variety of designs and is easily packable. Don’t worry about looking matronly, sun hats are high in style, easy on the budget, and these lovely hats will get lots of use between spring break and summer vacation! And from aviators to cat eyes, there are lots of styles of sunglasses that will take your outfits to the next level. Keep it classic and stylish with fashion essentials like a black and/or white t-shirt and denim shorts. By taking these few pieces, you will still have a classic spring break look that doesn’t break the bank. The versatility of mixing and matching is easy with just a few tees and shorts in different colors. A basic cover up is perfect for sitting on the beach or enjoying lunch on the bay. And combining mix and match bikinis will allow for lots of options without the hassle. Also, look for a cover up that can serve as a late night dinner outfit or a daytime outfit to stroll in the local mall before heading off to the beach. Cover ups and bikinis are easy to pack and lightweight so you won’t have to worry about weighing down your luggage. One of the most important pieces in your outfit are comfortable shoes which are essential for traveling in comfort and style. Slip on footwear like sandals and flip flops are a must for time spent on the beach and when lounging around the hotel (not to mention they’re light and easy to pack). Sneakers are necessary for those days spent walking along the shopping district, on walking tours, and for those vacation workouts. Then, flats come in handy when you’re going to dinner or the movies, not formal, but not as casual as flip flops. Simple yet easy to pack, mix and match pieces are the best way to reduce luggage and maximize options; however, one pieces still offer the option to mix and match with jumpsuits, cover ups, shorts, and skirts. Spring break is coming up, which means it’s best to be prepared now. So follow these basics guidelines and you’re good to go!